Colorpuncture is the most talked about aspect and well known form of Esogetics. Colorpuncture is best understood as being derived from a combination of acupuncture and color light therapy, except in Colorpuncture, the utilization of needles to puncture the skin is not needed (needless, or no-needle acupuncture), instead, we use special made quartz colored rods that information and energy to penetrate into the skin (and into the cells). In the 1970's, a scientist by the name of Fritz-Albert Popp proved that the cells (DNA) within the human body are able to attract light as well as give off light, or biophotons, intelligently and even more importantly, he theorized that this "life light" was a primary form of communication within the body. Peter Mandel theorized that through the use of light we could alter or correct the biophotonic information flow through faint beams of light to enhance the body's own innate healing abilities. He also found that each different frequency of light provides different and specific information into the system. As such, Colorpuncture utilizes frequencies of light on specific points and zones of the body. Other natural health modalities also utilize the same points. 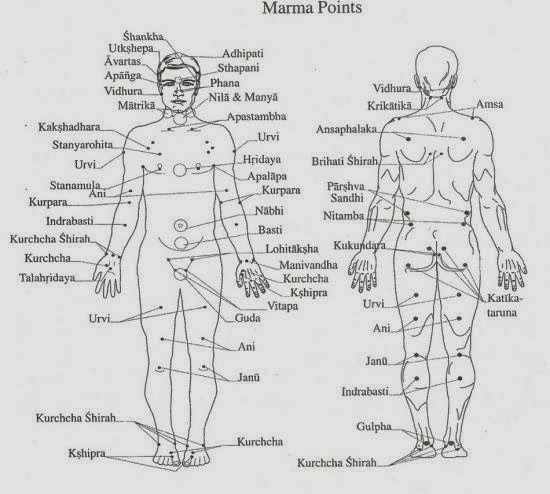 For example, in Acupuncture they utilize the meridians and acupuncture points, in Ayurveda there are the marma points and zones, and in reflexology the use the somatotopies, or reflex zones, of the feet, hands, face and others, as well as many other systems. In Colorpuncture, we utilize all of these systems of knowledge allowing for a well rounded approach, and the therapeutic medium is specific frequencies of incoherent light. Why use Color Light instead of another medium? Why use specific frequencies? Colorpuncture has been talked about in TV News, Talk Radio and more. Read through some of the preliminary studies about Esogetics & Colorpuncture. Certified Esogetics Colorpuncture Practitioners (CCPs) are available all over the world. You can find them via the Esogetics GmbH Institute in Germany. Karma means nothing else but act, action, deed. That presumes that one has to have a plan, an idea, and a program according to which one can act and take action. There is no doubt; karma is the law of cause and effect. Karma is not a punishment for anything as a consequence or effect, but it is the understanding, recognition, and the resulting expansion of consciousness which determines one's deeds. The Hara, or Dantien, means that state in which the human being has found his or her original center and is living his or her life out of that state. The center or middle of the being is located here, and is a center for Strength and Power. This advanced training presents new therapy considerations in regards to the specific traumas that ripple from specific segments of the prenatal times (Conception, up to the 12th week, up to the 24th week, up to the 38th week) with new therapy options for these specific, often hard to resolve, traumas. New developments by Peter Mandel with new connections between the Kirlian EEA and Iridology as well as new therapies to address more psycho-spiritual issues, mother/father and family of origin traumas, long-standing lymphatic rigidity, new therapies for therapy-resistant issues, and more. Also, additional therapeutic insights based on numerology calculations of the Life Path, Integrated Self, as well as Soul and Personality numbers. In this advanced training, we're taking a deeper, in-depth look at each of the joints specifically, and the meanings and symbolism of each joint. We then utilize higher level therapies (these therapies would be placed in the Formative Field of the Esogetics Model) to help shift and repattern the information flow. Everything is written on the face. Advanced techniques to work with chronic and acute physical, emotional and psycho-emotional pains. The Transmitter Relays (also called the "Watchman of the Gate") are a specific segment of therapies within the Esogetics system that specifically deal with the life lessons or life patterns that have been created, and hence what will be created based on previously experienced life patterns (conflicts).